Now WhatsApp has been upgraded with a new additional feature of Voice messaging. 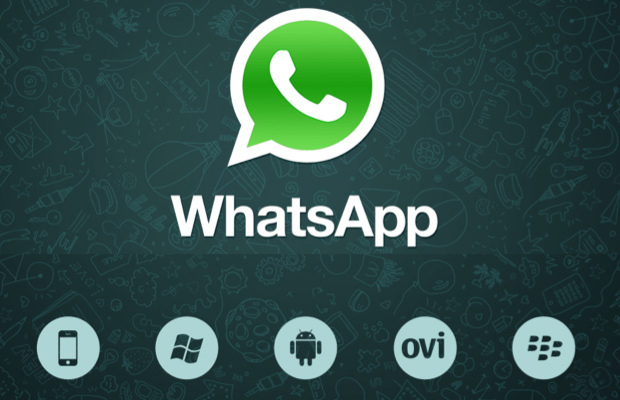 WhatsApp is a cross platform instant messaging app for smartphone. The WhatsApp is available for smartphone users such as iPhone, Windows mobile, Android mobile, Symbian OS mobile and Blackberry phone. WhatsApp has 300 million active users and everyday around 325 million photos are been shared. There are various instant messaging app's available for smartphones such Facebook messenger, WeChat and Voxer. These app's already has the voice messaging feature. 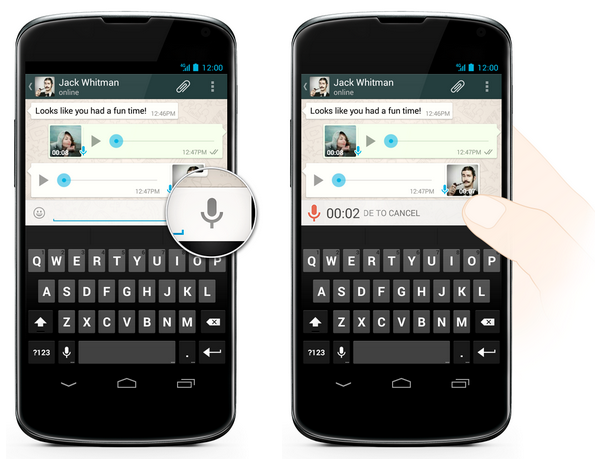 Now, WhatsApp have upgraded this Voice messaging feature as an additional feature to its app. WhatsApp has launched this feature at the time of great competition. Many app's are being launched with additional features to strike the market and many existing messaging app's legends like Facebook already been here in the competiton. WhatsApp already has the feature of sending recorded voice as 'voice notes' but now we can record and send voice messages with a click. Find below to start sending Voice messages with WhatsApp. 1. Upgrade your WhatsApp app. 2. During the chat, you will find a voice recorder symbol as shown in the image. 3. Click and hold the icon to record the voice message. 4. When you release the finger, the voice message will be sent. Based on the mobile, cancelling the voice message differs. This video shows a complete demo of WhatsApp voice messaging. There is no limit on the duration of the messages and the sender can find whether the voice message has been listened by the sender or not. Readers, start now to send Voice messages with WhatsApp.